China and U.S. Fight Over Reboot of Korean Giant Monster from "The Host"
Not only is America in debt to China for tons of cash, but also apparently for giant monster movie ideas. After Korean giant monster flick The Host took the world by storm, a Chinese film crew set to work making what they called a "localized" sequel to the saga of a toxic beast defeated by a plucky family of misfits. Now Gore "The Ring" Verbinski is making noise about doing an American reboot too. Verbinski made a name for himself with The Ring, a smart, scary take on the Japanese horror flick (and novel) called Ringu, about a videocassette haunted by the vengeful spirit of a murdered girl. There are no giant monsters in The Ring, but the ghost was visually terrifying - as were the flickering images on that deadly tape. Can Verbinski do it? Maybe, if he enlists the help of San Francisco special effects house The Orphanage, the same group that brought Hostie to magnificent life in The Host. A more interesting question to me is whether we're going to see more of these localized reboots and sequels of popular franchises. Could be a good source of revenue for Warners if they were to let Chinese studios do their own versions of Dark Knight and the sequels to it. Plus who doesn't want to see Batman in Hong Kong - but done right? 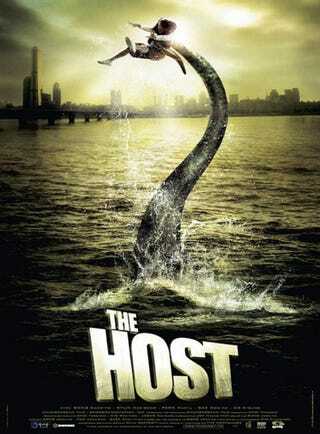 Universal Remaking the Host [via Dread Central] Thanks, Avery "Friend of Kaiju" Guerra!